Mondays. It’s fair to say that not many people really truly love them. It’s kind of a shame really, because they offer so much; a fresh start, a clean slate, a whole week of opportunity! But I won’t go into that in too much detail because hearing that on Sunday night will probably make you want to hit me…. While I was home a week ago (god, was it only a week? Feels like a lifetime) I did manage to squeeze in a few good workouts amongst the wakesurfing and reading and blogging and laying by the pool…. quite a few actually given I was only home for four days. But really, what good are holidays if you can’t use them to do a session or five? No good at all I tell you…. If you’ve been following my travels on Facebook or Twitter recently, you’ve probably noticed that I’ve been loving Fitness First’s new look The Zone gym on King Street in the Sydney CBD. The high intensity 30 minute (or 15 minute for the seriously time-poor) classes are an excellent way to escape the computer and burn some serious calories, fast. 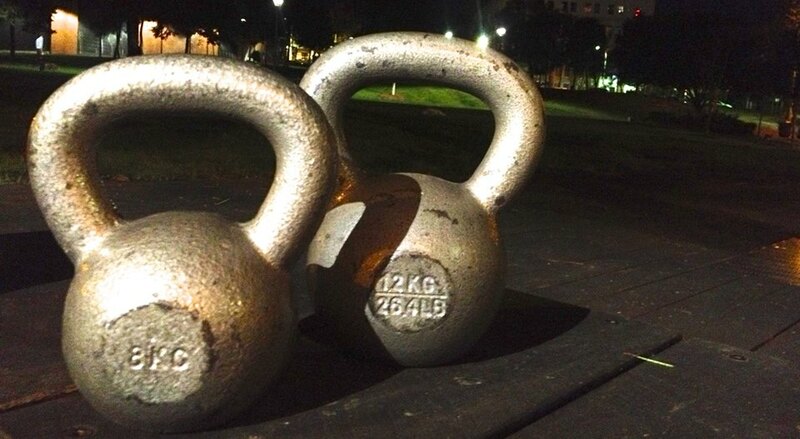 Kettlebells are one of my favourite instruments of torture pieces of equipment. They’re so versatile you can do almost anything with them, and therefore they’re an excellent choice if you’re thinking of investing in a few key pieces for your own home gym. Believe it or not (and ‘not’ seems a much more obvious choice to make given the weather right now) summer is almost-pretty much-kind of-just around the corner. 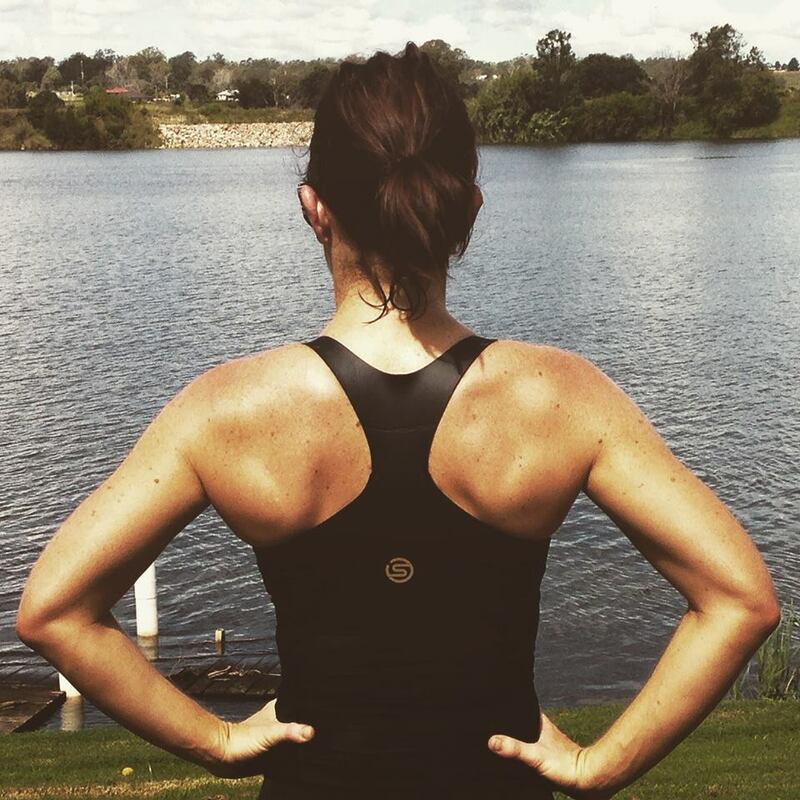 Yep, the season of swimsuits and tank tops and trips to the beach and summer barbecues and short shorts (ok I’ll stop there) is almost upon us, and you know that that means… it’s time to take your training up a notch. 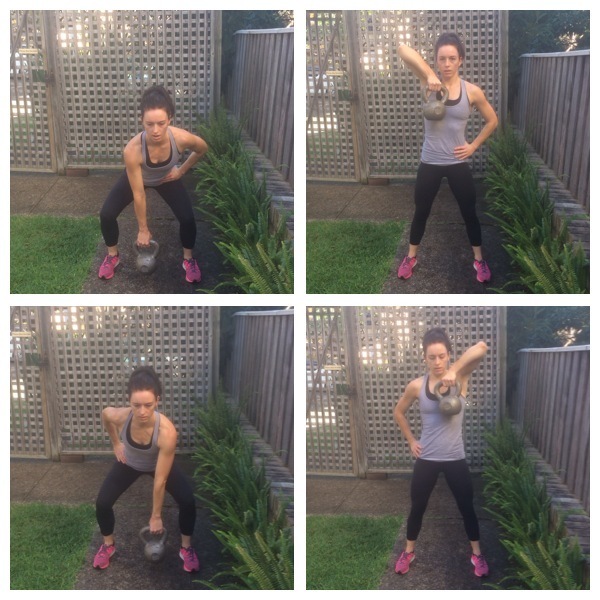 Kettlebells are one of my favourite pieces of fitness equipment. Compact, versatile and oh-so effective, I can’t remember life as a trainer before them. 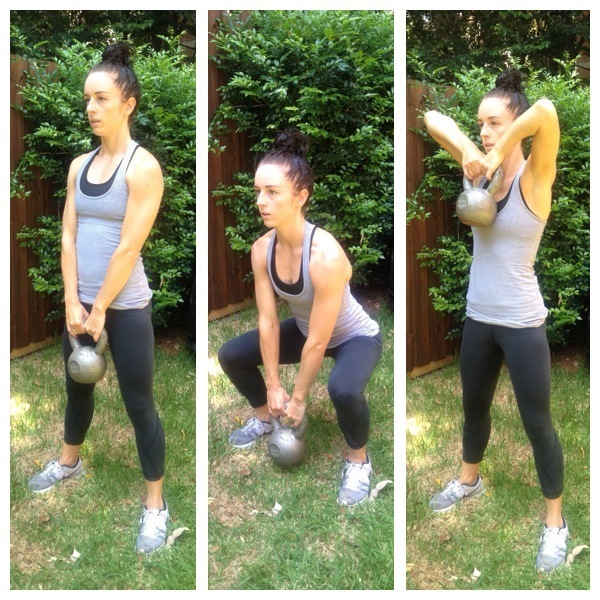 One of the things I love about them is that you can design a whole workout using only a couple of bells. This means that you can set yourself up in a space on the gym floor and not have to worry about fighting people for the cable machines or treadmills. Or – if you prefer to work out in the comfort of your own home – it means that for a small investment you’ve got yourself a mini gym! Annoying fact of life: sometimes you don’t have an hour to fit your workout into – heck, sometimes you don’t even have 30 minutes. I found myself in this situation recently when I had an hour-long lunch break into which I needed to fit a workout plus do some shopping for my brother’s birthday. I might be a personal trainer, but that doesn’t mean I’m immune to the occasional bout of exercise-itis. Sadly, I know too much to be able to convince myself that skipping a workout entirely is a good idea, but I do believe in tweaking your workout to suit your mood/body/schedule when necessary. Sometimes this might mean switching Pump for yoga or your run for something lower impact, like swimming or cycling. 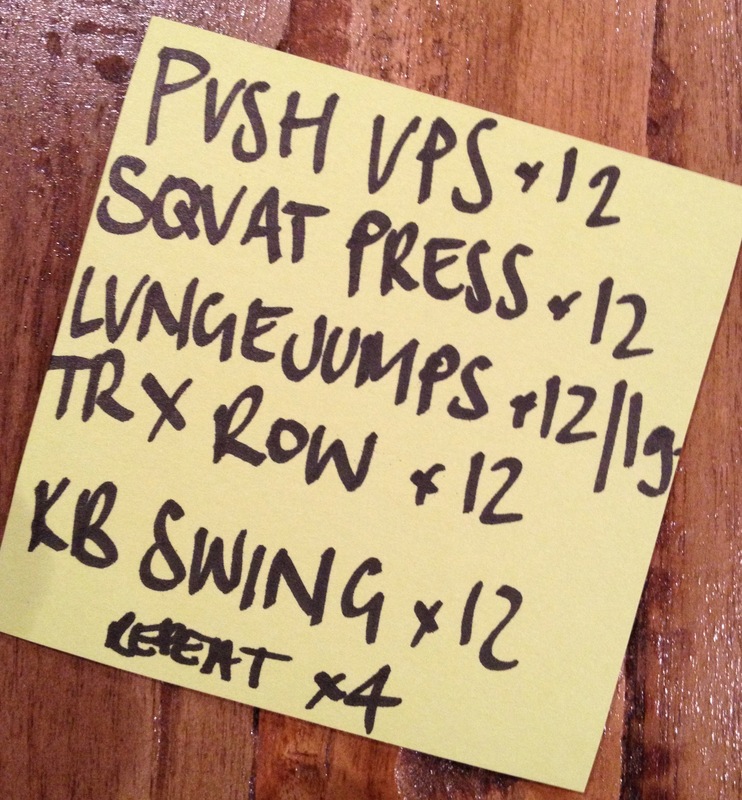 And at other times it’s as simple as committing to a shorter workout rather than ditching training altogether. Training ruts are a terrible thing. One moment you’re feeling motivated, together and strong and the next you’re wondering why you bother to eat well and exercise at all. When these negative feelings threaten to surface I find it’s a good idea to try to focus on all of the positive things that have come from your training – people you’ve met, goals you’ve achieved and adventures you’ve had. So today I thought I’d take the opportunity to reflect back on five of the most memorable and influential training moments I’ve had as a trainer, and as an individual.